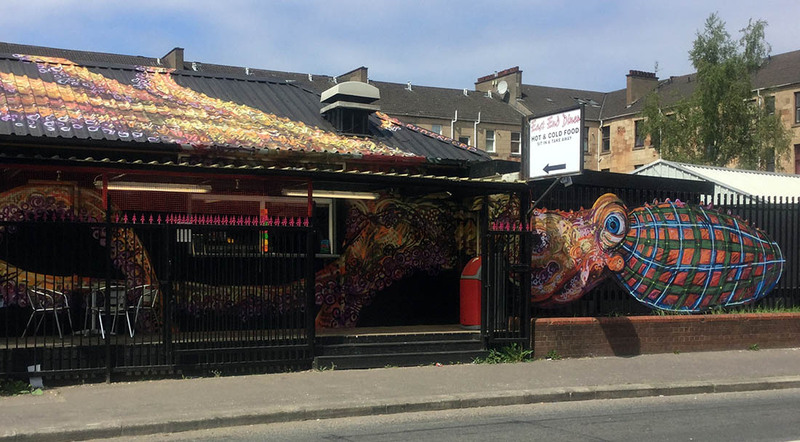 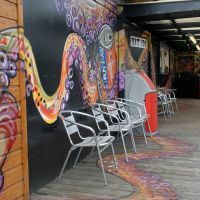 In the spring of 2016, the owners of the East End Diner in Glasgow approached us to design and execute a makeover of the outside of their premises. 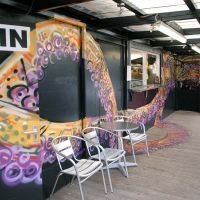 It was a very nondescript and utilitarian building, and despite its prominent location, it was still struggling for customers. 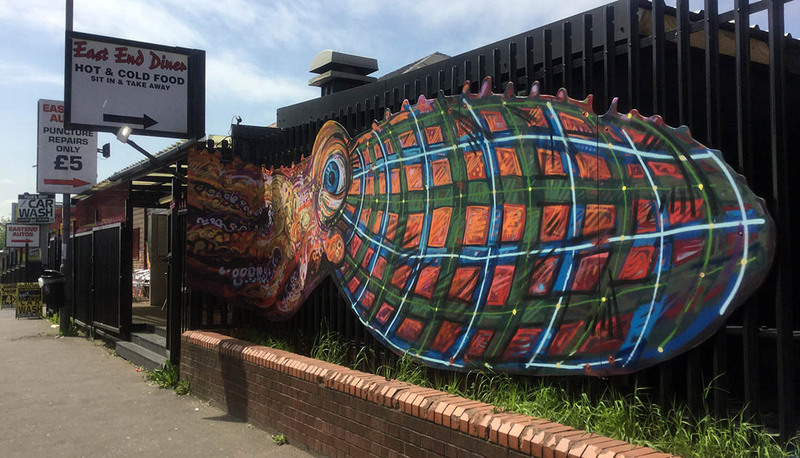 Chris decided to take inspiration from the classic science fiction novel ‘20000 Leagues Under The Sea’ and attack the building with a 16 metre long Scottish octopus suffering from the munchies. 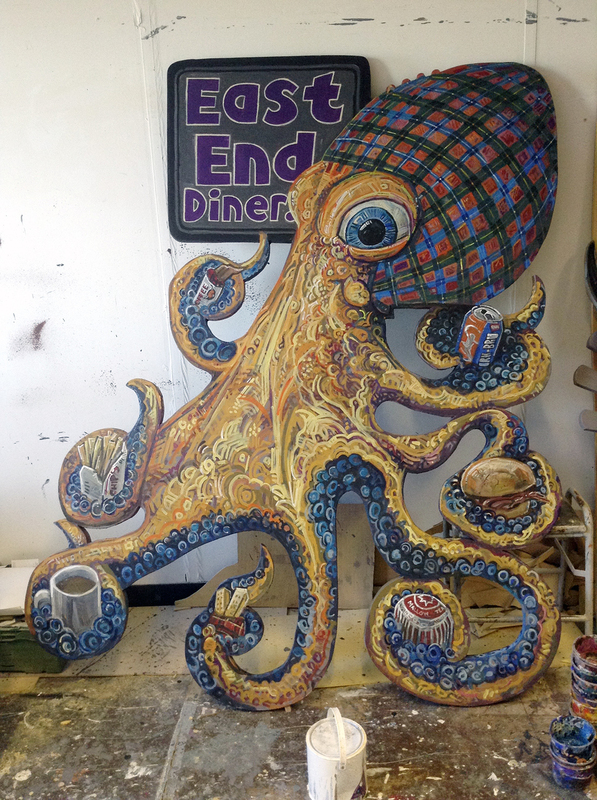 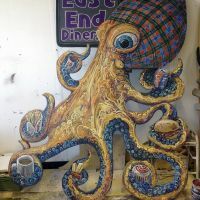 Before starting work on-site in Glasgow, Chris began creating two octopuses in our Edinburgh studio; a baby version two metres tall that would be hung inside the restaurant and a large scale domed head six metres long that was to be hung on the fence next to the building. 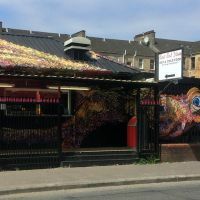 When the weather was right, Chris and his assistant Steve went over to Glasgow and transformed the building over the course of three very intense days. 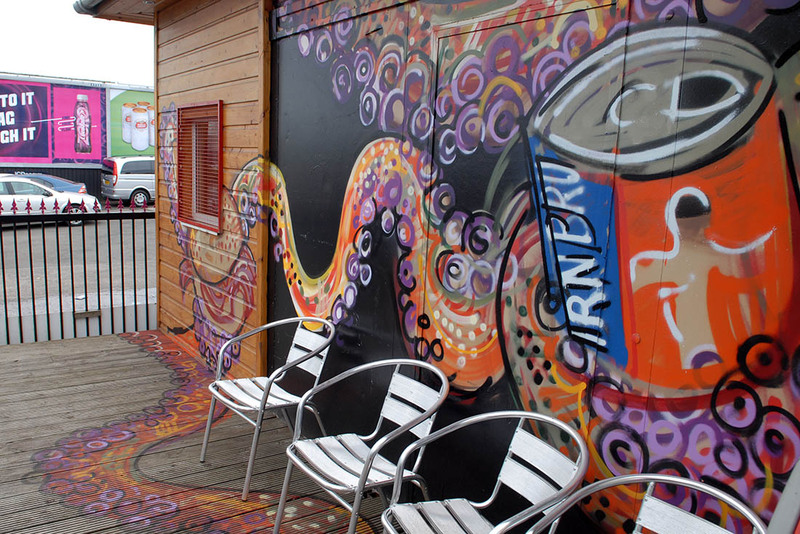 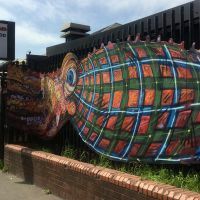 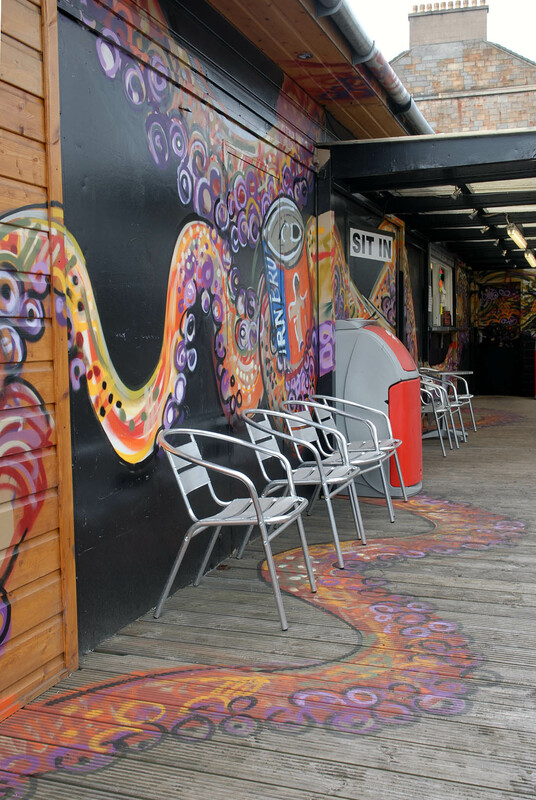 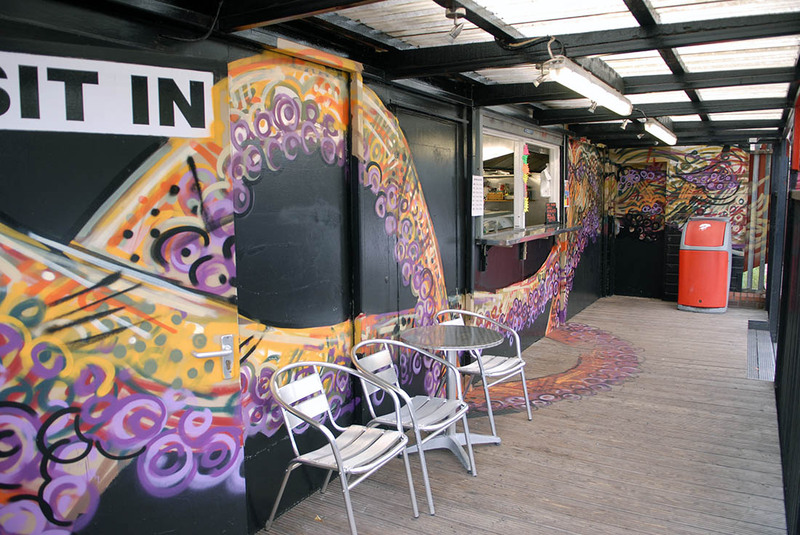 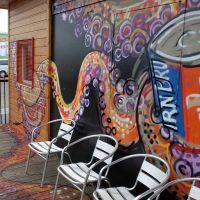 Since the transformation was completed custom has increased greatly, finally attracting a wider clientele - many of whom have commented that it was the giant octopus that finally drew them in after passing the location for years.